Nintendo Says Video Streaming Services Will Come to Switch "in Time"
Nintendo says that services like Netflix, Hulu and Amazon video will come to the Switch "in time," but are not a priority. 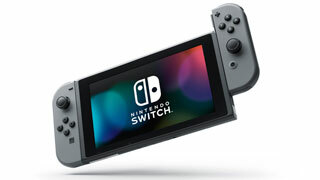 One of the things that hurt the Nintendo Switch's launch was the lack of Netflix, and other similar video streaming services at launch, a prominent feature of competitors Microsoft and Sony. Speaking with The Washington Post, Nintendo's Reggie Fils-Aime addressed this issue, stating that Nintendo is working on bringing streaming services to the console, but it isn't as big as a priority as providing a differentiating gameplay experience. "We're talking to a range of companies about other services, companies like Netflix, Hulu, Amazon - things that will come in time," said Fils-Aime. "In our view, these are not differentiators. What differentiates us is the way you play with the Nintendo Switch and what you can play. And that will continue to be our focus into the future as we continue driving this platform." Fils-Amie also addressed another big concern for the Switch - a distinct lack of launch titles. "When you think about a new platform, what will define it as a long-term success are the ongoing range of games and experiences that come to the platform - not what's available on Day One," he said. "My answer is to look at the games that have been announced and are in development, and that should drive your purchase decision."